What a perfect way to start back on the blog after taking a month off for vacation and family time – T-SQL Tuesday. 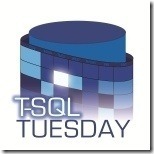 If you are hear reading this blog chances are you already know what T-SQL Tuesday is; if you don’t then first off I want to take a moment just to fill you in. Adam Machanic (T|B) came up with this block party every second Tuesday of each month. It is a party where a host can present a topic to a community and then the community can blog about the topic ~ fantastic idea! How can you host; well I’m glad you ask….you can contact Adam via his blog and let him know you are interested…he has all the information you need to know and what the requirements are from here. In saying that, this months party is hosted by Bradley Ball (T|B) and is labeled T-SQL Tuesday #44 The Second Chance. I’ve been asked this question from time to time in conferences or groups that I have spoken to. I keep going back to a certain point in my life that I remember very vividly which I will try to do it justice in this blog post. Being a developer for many years and then transitioning over to DBA for again many years I have had my share of mistakes that I have made….guess what? We all have and no one is perfect. Mistakes will occur; it is inevitable. How you learn from those mistakes are integral for ones professional growth. Do you pick yourself up, accept needed constructive criticism from a co-worker, or maybe no one knows about the mistake that you made. In that case, do you own up to it or do you try to sweep it under the rug? It’s all right to make mistakes ~ how do you learn from it? I remember coming right out of college and accepting my first position. It was a position where I had a friend working from high school; he had already been on the job developing and working with SQL for some time and I was green as the grass that grows in the summer time. One of the duties I was afforded was building import process for files to load into the system. Back then there wasn’t SSIS, we used a language called Progress which is similar to what a VB (Visual Basic) is. Now that I’ve dated myself a bit I’ll share the mishap. In building an import process it was tested and moved on to production, to not go into to much detail about the broken processes in place a break in the code would display a message box when certain criteria was hit. Needless to say in a 500,000 record file the scenario was hit often; what was the solution – instead of asking for assistance and not to hit the enter key 500,000 times on the message box another developer decided it would be a grand idea to stick a pen cap in place to hold the enter key down. Now, mind you 20 yr. olds might not be a seasoned vet but this did smell fishy. The import graciously finished but since the pen cap was doing a nice job it just went on ahead and loaded the data again on a second run. After realizing what had happened it was then felt prudent to perhaps rope the ole boss in. Ah yes, that was a fun conversation – one might ask – you mean you loaded dups into the system; didn’t the import take that into consideration – I’ll plead the fifth. I learned how to clean up a lot of data at an early point in my career! Everyone will make mistakes; how you learn from them and how you proceed in taking a negative and turn into a positive rests solely on how you handle the situation. You will have choices and times will come where mistakes will occur ~ Progress Not Perfection. This entry was posted in SQL Server, T-SQL Tuesday and tagged TSQL2sDay by Chris Yates. Bookmark the permalink. Hi Chris, Thanks for the Blog! A pen cap on the enter button, man that is priceless 🙂 Great read, and Progress not Perfection, very very true! Thanks Brad, yeah the pen cap is forever engraved in my mind. Look back on it now and laugh; will never forget the look on our bosses face.